Systems that needs categories to keep information about them sorted neatly. Using a default document located in a subfolder is easy, just fill in the path to the document, and it will be used (The path and document name will not be displayed in the browser). 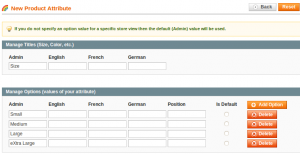 The trick we do here is to make one virtualhost for the “main” domain you wish indexed (and shown in browsers etc) and another one for all the other domains that will simply redirect to the main domain. To send the ctrl+alt+del keystrokes when in a remote desktop you press ctrl+alt+end. In a multi store environment there is sometimes a need to change the store when the user clicks a link. A “simple” way to do this is to pass the store along in the url (just add a “?___store=” either id or the store name, so for instance. Creating confugurable products is more work than adding custom attributes but it might be better in some cases (keeping track of stock, having one set of attributes to select from etc). 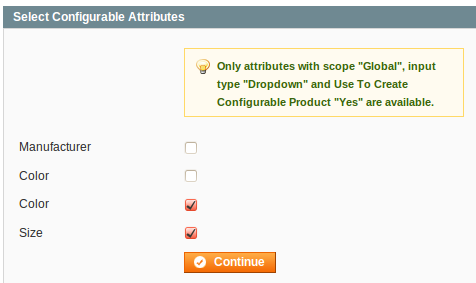 Scope needs to be set to Global and Input type to drop down. Once this is done then Use To Create Configurable Product is shown and this should be set to yes. Setting required to yes is a good idea as well. 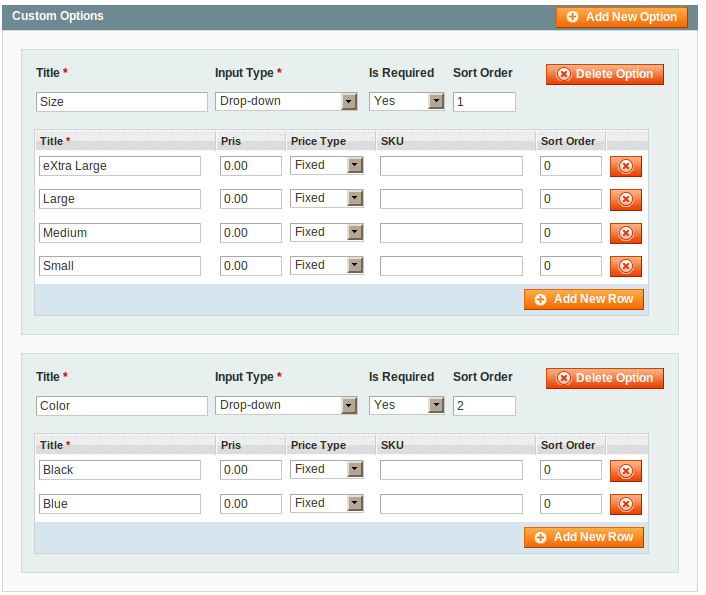 Under label / options create a label (for instance size) and give the different options it can take. 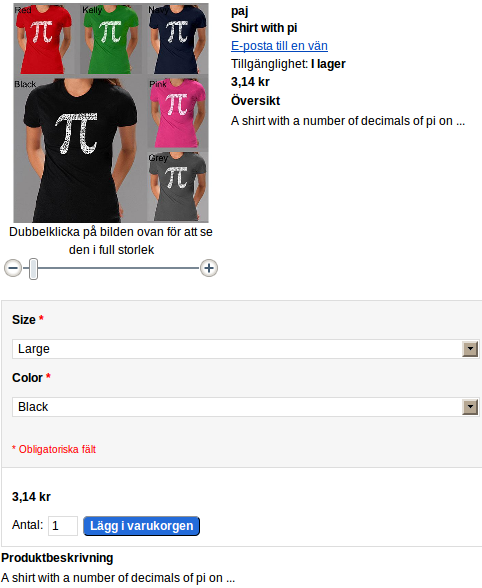 Now we’re ready to create an attribute set called “T-shirt” to start using for this product. 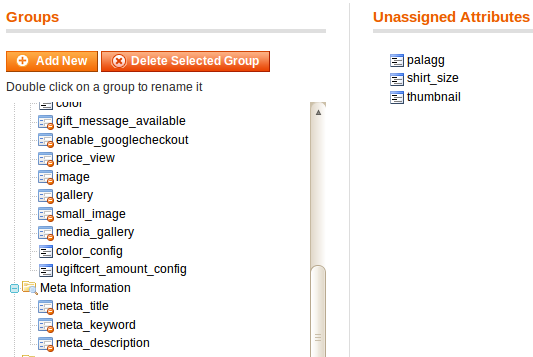 Go to “Catalog -> Attributes -> Manage Attribute Sets” and press “Add New Set”. Give the new set a name and then drag and drop the attributes to the group where you want them to be when creating a product. Create a product and make sure that you use the attribute set you have created. Add the attributes where you placed them. 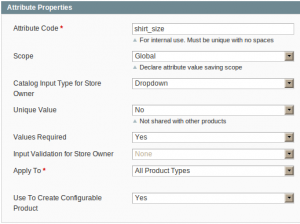 This can be done when the configurable product is created or later on using edit product. Some products have a number of options that are important for the customer to select. 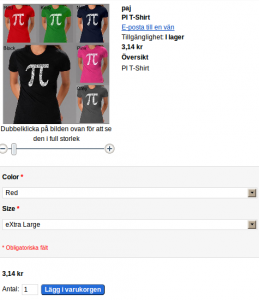 Here I show how to make a product with options (color and size) where Magento only sees one product – so it won’t it will not be possible to see how many large in red you have from Magento. 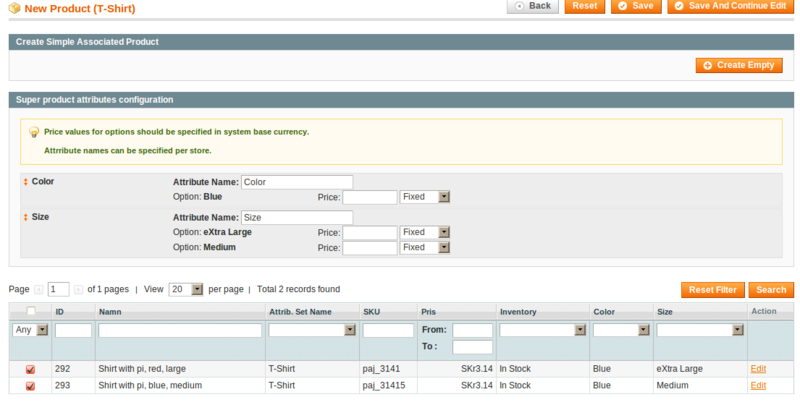 When you create a product in the admin panel there is a label Custom Options. 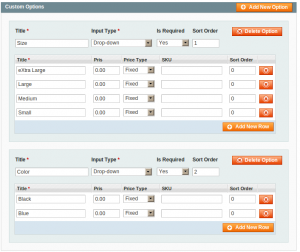 Then for each of the options use add new row to add the deferent values that the option can have. 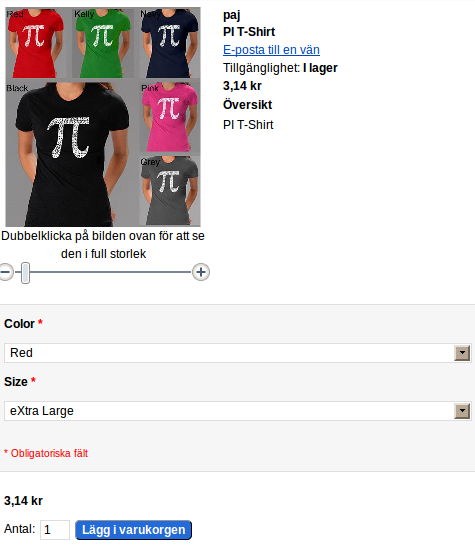 The column labeled price is for adding a extra cost for a option (if for instance the red shirt should be more expensive). 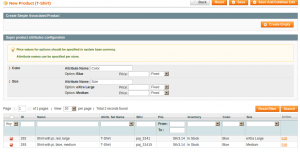 Then only down sides I have seen with this is that I have to add the options one time for each of the products (but that is also nice since not all products have the same values) and that Magento will treat this as one single product so I can’t let Magento manage the stock for this/these products.